People who suffer pain need restorative sleep, more than the general population. Yet, people in pain tend not to get enough restorative sleep. The 2015 Sleep Poll conducted by the National Sleep Foundation says that 23% of chronic pain sufferers say they have been diagnosed with a sleep disorder. Try to sleep for at least eight hours per night, not too much more and not too much less. If it takes you a long time to fall asleep, you need to create a sleep schedule that gets you into bed for more than eight hours to allow for that extra “sleep prep” time. Regarding too much sleep: it is a real thing. Pain sufferers benefit greatly from daily physical activity and too much bedrest contributes to poor circulation, weight control issues, and even more pain. Some people find naps restorative. If you must take a nap, limit the nap to 30 minutes. Make sure your nap is at least six hours prior to your scheduled bedtime. In addition to scheduling your sleep, schedule your physical activity with a goal of 30 minutes of stretching, cardiovascular or weight-bearing exercises daily. Avoid exercising just before bedtime. All days are equal. You need to have a sleep routine on Tuesday night and on Saturday night that allows for eight hours of sleep. Weekends are a great opportunity to catch up on sleep, but overdoing socializing or overscheduling is a missed opportunity. In addition, oversleeping is a mistake, too. Eat dinner at least two to three hours before bedtime. If caffeine affects your sleep, avoid it after 12:00 noon. If you can, wean yourself from caffeine altogether. Avoid alcohol use or limit your intake to one drink in the evening. Remove all screens from the bedroom. From the TV to your smartphone, the temptation is too great to keep watching, keep reading or keep texting. Better to read in bed or do crosswords than have a screen to stimulate your brain and visual cortex and prevent deep sleep. See a sleep specialist if you consistently cannot obtain restorative sleep to rule out sleep apnea and other sleep disturbances. Getting enough sleep is as important as pain treatment. It is a lifestyle decision that only you can control. 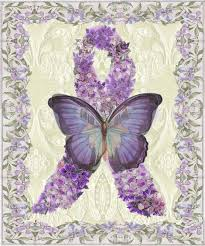 Fibromyalgia is a complex, chronic health problem. Its chief symptoms are pain or tenderness, especially a tenderness or soreness that is made worse when touched. Fibromyalgia is also indicated when fatigue, poor sleep, memory and cognition issues (often called “Fibro-Fog”) and severe moods are present. Other symptoms can include headaches (tension and migraine), digestive issues, pelvic pain, jaw or face pain as well as depression and anxiety. 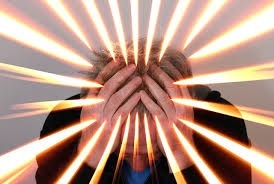 Fibromyalgia can be tricky to diagnose. Typically, patients who experience fibromyalgia have symptoms that can have multiple causes. To make things even trickier, there is no fibromyalgia test. Frequently, diagnostic tests will be ordered to ensure that other diseases or injuries are not the cause of the symptoms. 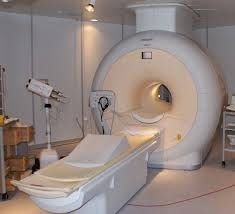 These could include x-rays and scans such as MRI and CT scans. In addition, there is not even a single “cause” of fibromyalgia. It has not been found in gene studies, but it may run in families. For many patients, there are triggers to fibromyalgia. These can include injuries or other diseases, or even stress. For other patients, there appear to be no significant triggers. Doctors will ask you where you are feeling pain, will ask you to describe the pain’s intensity and will often touch or palpate parts of your body to see how your body responds to slight pressure and touching. Doctors will also want to know how long you have been experiencing the major symptoms (pain, fatigue, mood disorders and cognitive issues); typically a 3 months’ duration is necessary before a fibromyalgia diagnosis can be reached. Fibromyalgia pain needs to occur on both the left side and the right side of the body and should also not be isolated to one small area. Physicians have to rule out a whole host of other diseases before definitively diagnosing fibromyalgia. As a result, many physicians are still hesitant to diagnose fibromyalgia. If you’ve ever experienced painful leg cramps in the middle of the night, you know they hurt! Waking up with shooting pains, typically in the calf, sometimes in the feet or even thighs can be scary and certainly interrupts needed sleep. Most of the time leg cramps are not a major cause for concern. But leg cramps that cause significant sleep disruption or cause lasting pain warrant a trip to the doctor. Consult your health care provider regarding your leg cramps and follow their advice. Adults over age 50 are at highest risk for leg cramps. Certain medications are implicated including medications for COPD, blood pressure, coronary artery disease, congestive heart failure, high cholesterol, anti-psychotic medication, birth control, migraine headache treatments and diuretics. What can you do when spasms occur? Stretch the muscle right away: walk it off, flex your toes or do gentle knee bends. Warm showers or baths can provide relief if the area is still achy. Massaging the area of the cramp can also provide relief. Applying a heating pad to the affected area can also help. What can you do to try to prevent nocturnal leg cramps? Stretch your legs before you go to sleep. Avoid pointing the toes, but do flex the feet gently several times. If you happen to own a stationary bike, 5-10 minutes of gentle biking just before bedtime appear to stave off cramps. 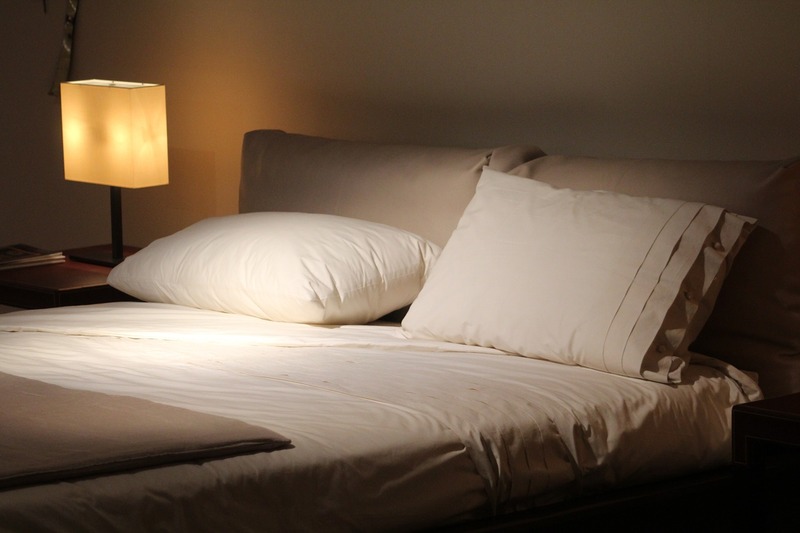 Before you go bed, untuck all of the bedclothes, so they are nice and loose. Drink plenty of water (more than you think you need) throughout the day. Dehydration is a fairly common cause of leg cramps. Some health care providers also recommend supplementing with sports drinks that contain potassium. Most of us, having made it to this point in our lives, have experienced both physical and emotional pain. Pain hurts. No big news bulletin there…Doctors of physical pain medicine as well as neurologists, psychiatrists and psychologists have long wondered about the similarities and differences between physical and emotional pain and how the human body copes with both types of pain. Current research suggests that physical pain and emotional pain from, for example, rejection share common neural mechanisms. 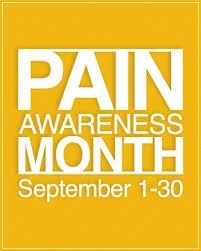 This means that emotional pain can actually be quantified and characterized along with actual physical pain. These commonalities can actually be visualized through the use of magnetic resonance imaging (MRI) technology. Some of these theories are beginning to be challenged and investigated more thoroughly. Luckily for all of us, researchers are engaged in discovering how our brains process and react to pain. *There is a small cost associated with downloading and/or printing these two articles if you are not already a registered subscriber to the journals Nature Reviews Neuroscience, or Molecular Psychiatry. 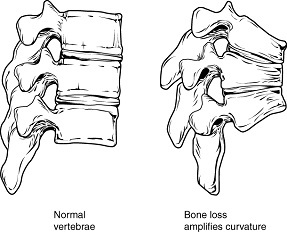 Lots of people assume that as you age, your bones have to deteriorate. In fact, this isn’t the case. You can do a lot to prevent the onset of osteoporosis. Even after diagnosis, you can take positive steps to improve your bone health. A note for men: A recent study out of Beth Israel Deaconess Medical Center indicates that men are not screened adequately for bone loss and osteoporosis. As a result, there are lots of older men with significant risk for fractures who are not aware of their high risk. The best ways to combat osteoporosis include dietary management, exercise, and reducing harmful behavior. Today, we are going to focus on dietary intake of vitamins and minerals. Getting enough Calcium: Calcium, an essential mineral, is a builder of bones and its presence also keeps our bones in optimum condition. Our body does not naturally replace calcium, so we have to replenish our calcium supply daily. Do you get enough calcium? Women need more than men, and everybody has to increase their calcium intake as we age. You should attempt to get most of your calcium from the food you eat, and only use a supplement to make up the shortfall. There are no risks to eating the required amount of calcium, but there are some side effects from calcium supplements. Consult with your health care provider regarding your recommended calcium intake. Getting enough Vitamin D: Vitamin D allows your body to absorb calcium. Some of the foods which contain calcium also contain Vitamin D, but it is difficult to get all of the required Vitamin D through food alone. Sunlight also aids in production of Vitamin D, but those who live in cloudy locales or who apply sunscreen to prevent skin cancer don’t get the Vitamin D through the sunlight. For most people, a Vitamin D supplement is necessary. 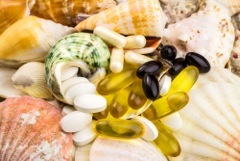 You should take a supplement that covers the shortfall of Vitamin D that you don’t take in with food. Consult with your health care provider regarding your appropriate Vitamin D requirement. 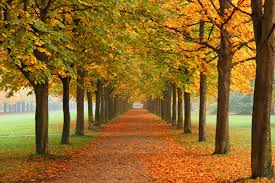 For those who suffer from arthritis, the variable fall temperatures bring beautiful skies, gorgeous leaves…and sometimes pain. You might be surprised to know that scientists are extremely skeptical about what changes the weather actually brings to those who deal with pain. We all know arthritic patients who swear that they “feel it in their bones” when there are changes in the humidity or drops in temperature. Yet, there is no concrete evidence that changes in the weather truly create measurable physical changes in our bodies. But, if a person sees those looming storm clouds or watches the Weather Channel’s forecasts for dipping temperatures, there may be a psychological component to their experiences of low temperature weather pain. If a person has previously felt increased arthritic symptoms in the cold weather, then the brain may be sending a message to their body to prepare for more pain. This could, in turn, “excite” the pain nerve receptors, thereby activating them. Changes in medication might be necessary. This might mean actually changing the class of medication that is being used to treat your pain or it could mean changing the dosage. Staying warm is also key, so that your mind and your body don’t feel exposed to cold. Make preparations before you hit the outside morning air. Be sure you are fully bundled up; don’t wait to zip up after you’ve already walked out the door. Try to warm up the car ahead of time (or get somebody else to start the car for you), if your car is kept outside. Dress in layers so that you feel toasty, but not sweaty. You can always remove layers if you warm up throughout the day. Concentrate on reducing swelling in affected joints. 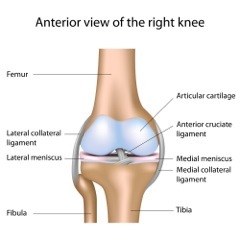 Osteoarthritis is essentially swelling in the joints. Anything you can do to decrease the swelling will decrease the pain. Unfortunately, heat does not decrease swelling. But there are other methods: gloves and splints worn on swollen hands can bring down the swelling. Exercise and movement are essential. It may seem counterintuitive; if you are feeling pain, you may want to go back to bed or to become totally sedentary. In fact, this is absolutely the wrong way to go. Regular, gentle, fluid motion does keep arthritis pain at bay. Water aerobics, light walking, stretching, yoga and other activities can be helpful. Activities that have a social component also can combat the depression that may accompany chronic pain.